What Is Causing Wildfires To Burn Earlier And Longer? 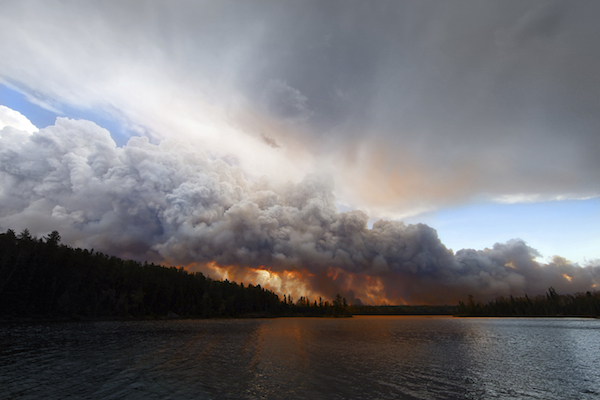 - FTS Inc.
Home What Is Causing Wildfires To Burn Earlier And Longer? Lengthening Seasons – In the spring, snowmelt run-off happens earlier in the year. By the time the summer heat peaks, conditions are drier than usual. The heat of summer extends longer, with fall conditions being considerably warmer. Warmer seasons result in snowmelts occurring as much as four weeks earlier as compared to half a century ago, extending wildfire season by almost a month. Dry Conditions – Warmer conditions means increased moisture evaporation. Climate change conditions in North America are resulting in a higher average temperature, between 3-9 degrees Fahrenheit warmer than just fifty years ago. With the climate becoming more arid, the probability of wildfires increases. Fuel – Warmer, drier conditions dry out flora, creating more fuel for fires to use. Furthermore, arid conditions allow certain pests to flourish – these pests feed off trees, weakening them or killing them, which in turn creates an additional fuel source. Lightning – Fierce thunderstorms throughout North America are increasing due to climate change. The lightning accompanying these storms acts as a natural firestarter. Predictive weather models expect lightning activity could increase by as much as 30% across North America by 2050. With a portable or fixed-site station for monitoring weather, critical data is captured by state-of-the-art technology and communicated back to land management teams. Captured data can help to create models that can predict the probability of when and where a wildfire may occur and even what its behavior may be. Risk of ignition based on factors such as topography, fuel, lightning, human activity, etc. Early detection of a high-risk wildfire can lead to better suppressive strategies through improved tactical planning. With more detailed understanding of topography, combustible fuel locations, expected wind patterns and locations of green areas of heavier moisture, the response to a wildfire can be launched with more confidence and precision. With the increasing trend of earlier and longer wildfire seasons, technologies that can map and model high-risk regions are critical to minimize the potential for disaster. According to the U.S. ten-year fire strategy, “A Collaborative Approach for Reducing Wildland Fire Risks to Communities and the Environment”, wildfire goals should be to prevent and suppress wildfires, reduce the presence of hazardous fuels, restore the balance of ecosystems and encourage assistance to local communities affected by wildfires. For more information on how to improve the effectiveness of fire management through technologies designed to collect data and create predictive models, please contact us. As a recognized world leader in fire-monitoring solutions, we have the products and experience to meet the demands of today’s fire professionals. How El Nino Droughts Impact Sugar Crops Now, and Into the FutureIs Data Sharing Having an Impact on Climate Change?